Réalisatrice, Cadreuse et coproductrice sud-africaine. Annalet Steenkamp is an alumnus of the 10th Berlinale Talent Campus and an award winning camera director with a background in journalism, research and factual filmmaking. She has worked on several high profile gritty projects as a research fixer, such as the BAFTA winning Ross Kemp on « Gangs (2007) and Dylan Grey’s award winning film, « Fire in the Blood », (2013) which is currently on cinema release in the UK, and as a director of photography for narrative nonfiction projects. She won a SAFTA for best cinematography for a short documentary Sea Skeletons in 2013. She has also directed and filmed a comedy and a drama series for South African broadcasters. 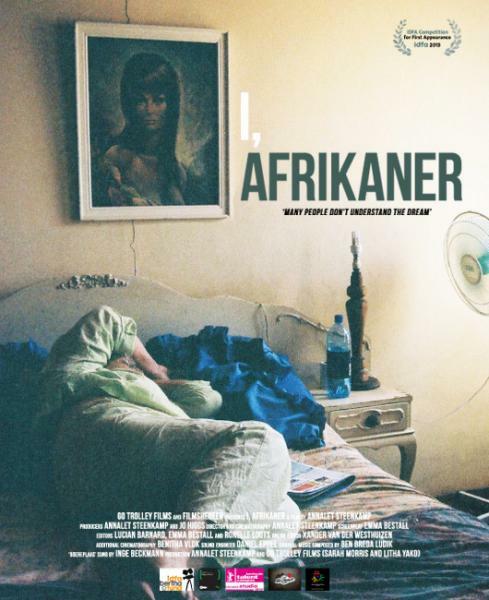 « I, Afrikaner » (2013), her debut feature length documentary, has been supported by IDFA since 2009. It attended the Round Table Pitch at the IDFA Forum and the IDFA Summer School in 2009 and 2012, and received development as well as completion funds from the IDFA Bertha Fund. In 2011 it won the Puma Britdoc Catalyst and Mobility awards at DIFF. Steenkamp works under her own company, Filmshebeen.